Who profits from hanging Yakub Memon? Yakub Memon is the brother of Tiger Memon and provided him and Dawood Ibrahim financial assistance in the planning of the Mumbai train blasts of 1993. After the blasts, Dawood Ibrahim and the Memon family escaped to Pakistan, where they lived under the protection of the ISI. To make a long story short, anecdotal accounts reveal that the family did not approve of Tiger Memon’s terrorist act and wished to return to India and Yakub consulted with a cousin from Bombay with regard to surrendering to justice in India. He had traveled to Kathmandu with documents, video and audio tapes that incriminated Dawood Ibrahim and Tiger Memon. While specific details in the interim are not clear, what is known is that Yakub Memon came to the attention of Nepal police and surrendered and was brought to India by road and flown to Delhi and formally arrested. After he was arrested, he provided crucial evidence regarding the terrorist conspiracy to Indian agencies that helped, for the first time in conclusively establishing the role of Pakistan’s ISI in terrorist attacks in India. He also arranged for his family to travel from Pakistan to Dubai and surrender to Indian authorities and be brought to India. In essence, Yakub Memon had a peripheral role in the attacks and provided assistance to the investigation that helped establish the real culprits conclusively. While the nature of his agreement with the Indian agencies is unclear, an article by B. Raman, who headed the Pakistan desk of the Research and Analysis Wing of India when Memon was arrested is categorical that his actions and assistance constituted mitigating circumstances and that the prosecution should not have asked for a death penalty. An article in the Times of India, after his sentencing in 2007 described that the family returned to India after discovering the magnitude of the damage from the attack and to make themselves available for questioning. The understanding was that the women would not be arrested, but only questioned, while the men would be arrested, but assisted to get bail. The family was not involved in Tiger Memon’s underworld activities. According to the Quint, which quotes Shyam Keswani on ABPLive, the Indian government reneged on the deal, rendering the CBI helpless with regard to their agreement with Yakub. “A senior investigating officer of the CBI called us for a meeting in one of the bungalows opposite the Secretariat….The CBI officer told me to file a bail plea and that the CBI would not oppose it. The reason for this, he said, was that Memon had helped the agency unravel things it would not have been able to in 30-35 years…The next day I filed a bail application, but the CBI opposed it tooth and nail. Later I met the same CBI officer and asked him why were you joking with me? He apologised and told me the Government of India has changed its stand… He was betrayed by the Government of India.” And the rest is history. To the bloodthirsty fanatic supporters of the government, a hanged Muslim terrorist is good news, and anyone questioning that is defending terrorists and against national interest, and so on. The usual tape. However, in my view, there are several serious reasons Yakub Memon should not be hanged. What was his role in the actual attacks? His involvement does not appear to have extended to the actual attacks at all. A chartered accountant helping his brother with finances – which are used in a terrorist attack – does not exactly scream of knowingly carrying out terrorist attacks. A death penalty seems disproportionate for his known “crime”. What is the value of the word of the Indian government? 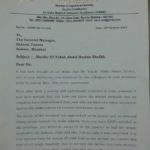 While the exact nature of the deal with Yakub Memon is unknown, logic would tell us that he would not hae requested for the death sentence for himself and life sentences for his family as a condition of surrender. The government prosecuted him with proofs he willingly provided to bring the real perpetrators to book. We seem to have taken the easiest route to having someone to hang rather than following through on our word as well as pursuing the real culprits. It is whatever deal he made that brought the rest of the family to India. 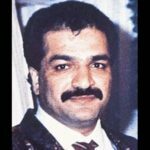 The documentary proof he provided allowed India to make a strong case against the real perpetrators – of this there is no doubt – Tiger Memon and Dawood Ibrahim. India not upholding its part of the deal stinks of dishonesty. Yakub Memon and his family frustrated the ISI and returned to India and their actions here helped India. Hanging Yakub Memon almost sounds like India serving the ISI by punishing them for betraying Pakistan. Yakub Memon was advised by his cousin as well as Tiger Memon to not return to India. 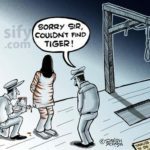 His hanging for doing exactly that proves that Tiger Memon was right and that the government couldn’t care less about guilt or innocence if they have a hanging to show people for a crime. What is lost with Yakub Memon? Given the rabid nationalism going high decibel about terrorists, I’m not going to make humanitarian arguments about the death penalty or indeed the terrorist’s interest at all. No use. We are beyond that. Life does not matter here if there is a good excuse, and there are a thousand excuses for taking the life of a terrorist. Given how little regard we have for the country’s laws or honor, it seems pointless to expect the word of the country to mean anything when a convenient hanging is in sight. After all, we specialize in saying whatever is convenient and doing whatever is convenient – independently of each other. Given how little respect we have for anyone pleading to save lives, let us ignore the petition by eminent jurists, politicians and more. However, what will even give nationalists pause is the question whether we have given up on bringing Tiger Memon or Dawood Ibrahim back? Or is hanging a peripheral accused already in the hands of the Indian government and letting go of the kingpins a part of some bizarre track two? Are we seriously saying that we would not need Yakub Memon to nail Tiger Memon and Dawood Ibrahim to the wall if we succeeded in capturing them? Or is this a quiet admission that we aren’t going to get them and we might as well hang someone? Are we saying that hanging Yakub Memon is in our interest while the main perpetrators are at large? Is his testimony or further information not of any importance in the event we can negotiate an extradition or to bring about international pressure for such an extradition? All that hanging Yakub Memon proves is that the Indian government cannot be trusted to uphold their part of deals with approvers for intelligence on crimes. It serves terrorist interests by deterring any affiliate who has intel from taking it to the authorities. If they fail to grab the real culprits even with information you provide, you’ll be hanged in the place of the culprits. It is really troubling that the prosecution and courts have chosen to think like an average rioter on the street. One Memon masterminded the blasts and is out of reach, crucify his family! And for what? The real culprits still roam free in Pakistan. Yakub Memon never bombed anyone. You are no safer with him dead or alive. All we are doing is getting rid of a key witness – legally, this time, advertizing that India cannot be trusted to make deals for intel in an extremely high profile manner and achieving little more than a dead body that would otherwise live in prison for life. The ISI should probably send a thank you card to the Indian idiots. After Yakub Memon’s execution. Now what? Whom are we talking about? Someone who was involved in terror activities. He was found guilty by supreme court. And I believe he was given a fair trial. More than media or more than any one I again believe in justice provided by our apex court. I dont think that anybody is more qualified and observed the facts as the persons who gave the judgement. The decision given by the supreme court and we should respect that decision…. Ask to that victim what they got from blast lost or profit??????????? Nathuram Godase hanged for Gandhi murder butNarayan Dattatraya Apte also hanged who was only with him. He was not participant in whole plan. Please correct me if I’m wrong, but what you’re suggesting is to potentially let a convicted terrorist live on a “humanitarian” ground? This is in light of a recent article suggesting that 26/11 terrorist attacks occurred due to complicity by politicians from both political parties? There is no “nationalistic chest thumping.” There is no “brouhaha.” There is only justice. My god, now I read more of this same article. Let me get this straight – the financier of a known terrorist does not have any responsibility because… because what exactly? Even in the USA, if you “unknowingly” assist somebody with a crime, especially a TERRORIST crime, you are given the death sentence. The perfect example of this is Dzhokar Tsarnaev, the brother of the dead Boston bomber !!! The exact role of Dzhokhar was unknown, but it was well known that he helped his brother. You people make me absolutely sick. You “anti-nationals” as one would say, really need to reshift your lens and make different, less easy to break apart counter arguments for why he should not be executed. Correct analysis. The exact details on deal between the then Central Govt and Yakub are not known.Its impossible to believe that Yakub was ‘tired of doing trips between UAE and Pakistan” Pilots of airlines do these regularly.Its not possible that Yakub returned to India to expose his brother. He should not have gone with him in first place had his intentions were honest. Apparently the family was already in Dubai when the blasts happened and the news coverage convinced them it wasn’t safe to return to India. What really happened is likely to remain unknown forever. I doubt Yakub Memon is as innocent as he claims and I doubt he’s as guilty as the zealots claim. The first casualty of a terror attack in India always seems to be objectivity. 🙁 However, it is alarming that we are targeting a sidekick like it was the end of the world and not looking at the larger picture. Very correct & apt analysis !! India at present seems to be in a state of jingoistic nationalism fed by unthinking morons on Social Media !..what is being done to Yakub only helps in perpetrating the vicious cycle of violence of terrorism that ordinary citizens face ! 1993 saw two events, the Jan ;93 riots of B’by and then the March blasts ! I was in B’by in Jan ’93 during those days. no action was taken against the riot perpetrators ! !..the riots resulted in the blasts of March, couldn’t & can never catch the kingpins so lynch the traffic offender ! & anyone coming on defence of the Approver who is about to be hanged, also gets labeled as an anti-national by gatekeepers of Indian nationalism ! !…whereas another proven convict David Headley & planner of 26/11 fame in US gets treated as a guest of the State having become an Approver ! 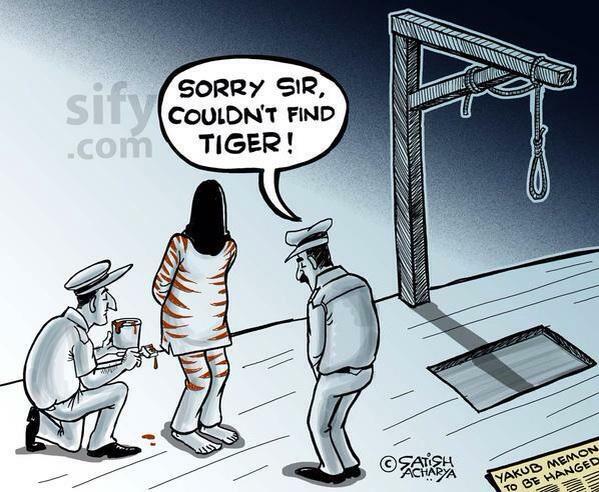 That’s the shallowness of the Indian system ! 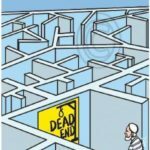 One more thing – the 22 years already spent in detention even before the final conviction is an important factor that should have been taken into account before awarding the death sentence, but looks like this factor was simply not taken into account.